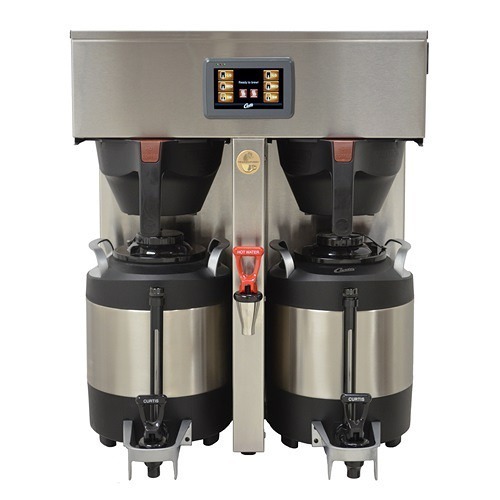 The Curtis G4 Gold Cup Series of coffee brewers are designed to brew coffeeshop-quality coffee in a brewer that is easy to use. Anyone can brew the coffee, and profiles can be set through the password-protected touchscreen control panel. The brewer uses ThermoPro servers to keep coffee fresh for hours. Don’t worry about shipping, it’s completely free! The Wilbur Curtis G4TP2S is a 1.5 gallon single brewer from Wilbur Curtis’ Gold Cup Series. It features G4 technology, which means the entire brewing process can be controlled easily and intuitively from a 4.3″ touch screen. 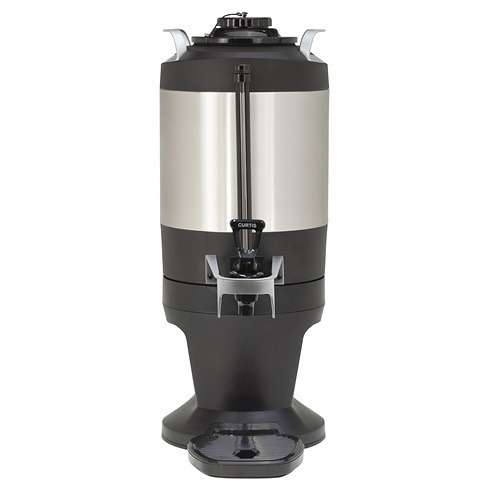 The G4 series of Curtis brewers makes brewing a great pot of coffee easy. Simple, icon-driven navigation makes it easy to set brew time, brew temperature, and brew volume. Three batch sizes are available. 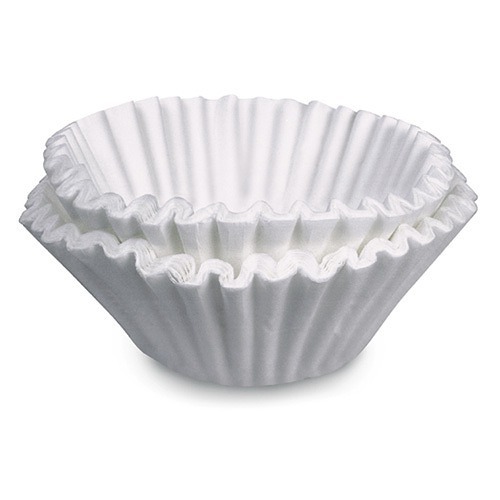 Profiles can be set for different coffee profiles to make it easy for anyone to brew coffee correctly. G4 self-diagnostics prevent down-time and mistakes. The Wilbur Curtis G4TP2S brews into vacuum-sealed, stainless steel ThermoPro servers, which are designed to keep coffee hot for hours without the need of a heat source. Either the TXS of TFT FreshTrac 1.5 gallon servers can be used with the brewer. 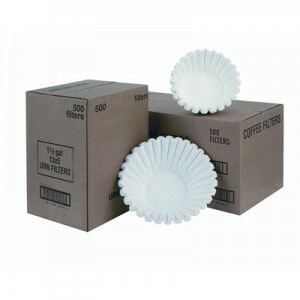 ThermoPro dispensers are sold separately. 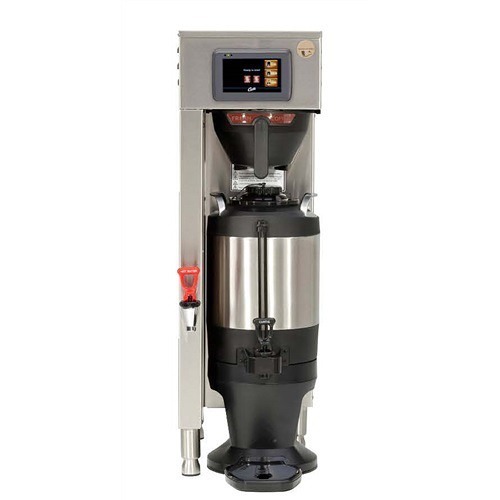 The G4TP2S brewer is dual voltage and comes with a cord for 110V electric. 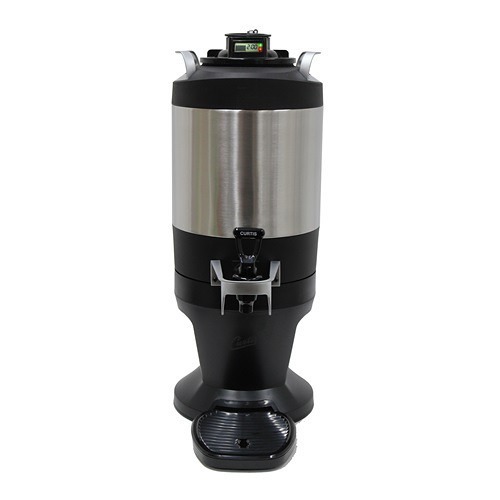 It will brew 4.5 gallons of coffee in an hour on 110V, or 12.0 n 220V.